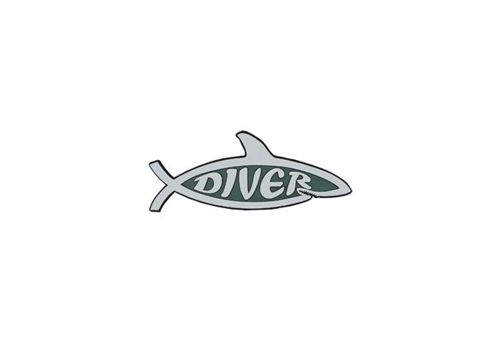 Have a question about the Trident Shark Diver Christian Style Stick-On-Emblem? Adheres to just about any surface. Great for the car! 6"x2" Show the world that you have Scuba style with our one of a kind stickers, pins, scuba diving accessories and water sports gifts.